Luke Ritchie is a London based acoustic guitarist and singer-songwriter. He’s played with The Golden Retrievers and acclaimed folk singer Hannah Peel. 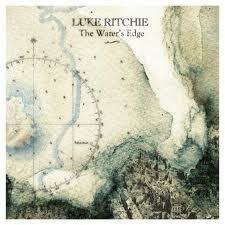 His debut album The Water’s Edge is released on July 23rd, 2012 on the Angel Falls label. Classical composer Nico Muhly is the album’s arranger, composing five of the eleven tracks. The Lighthouse is a slow, tender and gentle song. Becoming progressively powerful, it includes impressive vocals by Nia Lynn. Rhythmical folk song Shanty bounces with energy. The firmly upbeat Song to Sundays has a solid baseline and an addictive melody. Looking Glass has a dreamy charm which will take you on yet another inspiring emotional journey. This fine album was skilfully created over two years of dedication and determination. The songs are rich, passionate and beautiful. Both intricate and complex, they have a soulful, yet rocky tone. This is music which is strong, polished and accessible. Track list: 1. The Lighthouse 2. Shanty 3. Off Your Guard 4. Cover it up 5. Words 6. Butterfly 7. Northern Lights 8. Lonely Second 9. Looking Glass 10. Right Then And There 11. Song To Sundays.